In this Customer Spotlight we are visiting the dairy industry to focus on one of the top manufacturers and distributors of yogurt in the United States – Dannon. While producing six million cups of yogurt and tracking hundreds of loads through three manufacturing plants, six distribution centers, and numerous trucks from third-party carriers each day is a daunting task in itself, the company must still meet customer demands for better service and ensure freshness through improved scheduling options and increased on-time deliveries. This requires real-time visibility into the transportation process. Dannon’s previous outbound and inbound appointment scheduling process was manual and called for tedious phone calls, faxes, and emails between departments, shipping facilities, and carriers. Seeking a new recipe, Dannon looked to BluJay Solutions Transportation Management to provide a system that supports the required planning, execution, claims, and appointment scheduling that will keep the company ahead of its competitors. With this solution, Dannon can monitor both arrival and departure appointments in real-time, track priority deliveries to customer or distribution centers, research areas with frequent issues, and review accessorial charges and automatic calculation of fuel surcharges for total shipment cost. Initially, the dock scheduler at each Dannon location was the only party with visibility to the entire transportation schedule. This created an obvious bottleneck that limited the ability to communicate any delivery changes to the customers. Now, users can schedule in open slots online without contacting Dannon to make appointments through a single individual. 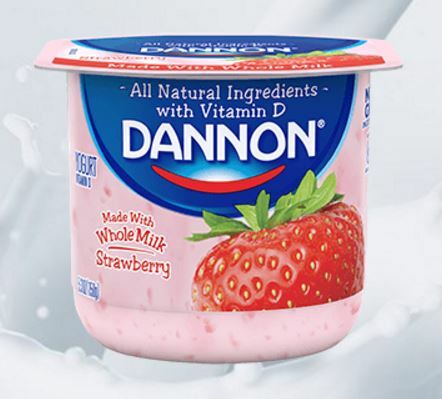 By providing services that will challenge all other dairy competitors, Dannon took a unique step in sharing open communication of any issues or delivery changes, resulting in customer satisfaction improvements. With these services, the company saved time, and enjoyed an additional estimate of one and a half hours per resource per day with BluJay allowing resources to handle more important tasks on a daily basis. Because overall customer service and customer satisfaction was improved and complete visibility into the transportation process became available, Dannon could also reduce detention costs by better planning for delays and changes within the first year of usage alone. Be sure to check back in soon to learn of another delicious success story featured within our “Customer Spotlight” series!